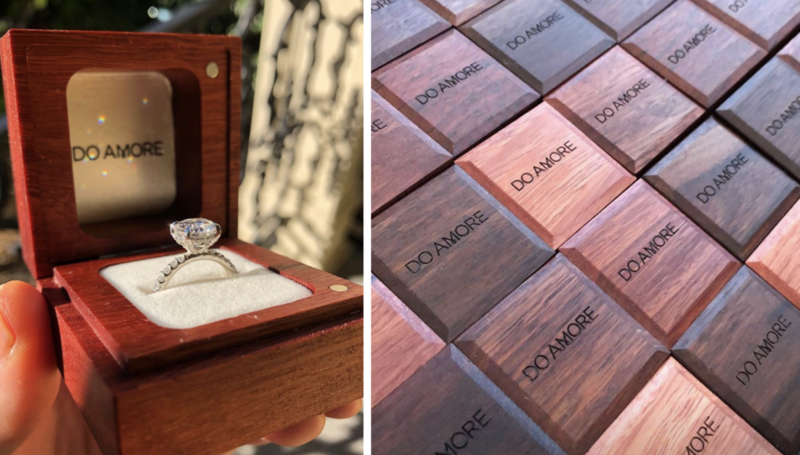 Do Amore is a startup that is disrupting the engagement jewelry market with a unique offering: every ring purchased provides two people with access to clean water. Tech-savvy young adults aged 25-40 with an altruistic streak and a wide range of budgets. Create a modern, elegant logo that feels romantic without being overly fussy. The identity needed to walk the line between a tech-forward startup and a traditional fine jeweler. We looked to heart of the brand for an appropriate symbol. 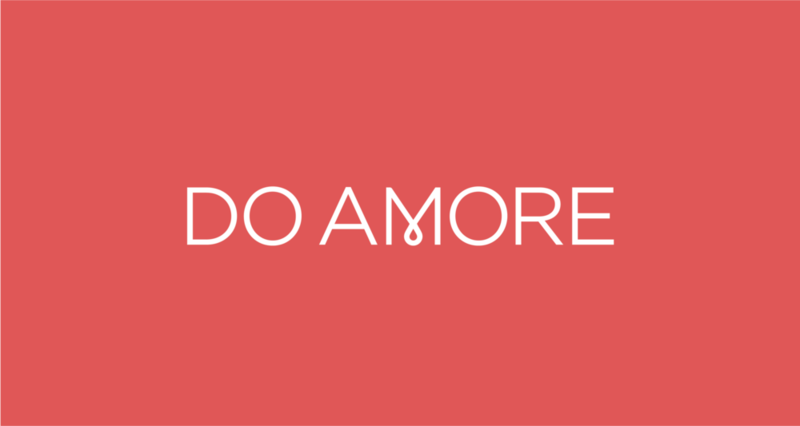 "Do Amore" means "To give with love" in Latin, but the brand's founder also wanted to emphasize the double entendre—do MORE—in the logotype. We decided that placing emphasis on the “M” made the most sense to get this idea across, so we created an elegant loop that tied the two sides together while also forming a water droplet in the negative space. The result is a clean, elegant mark that will remain timeless as the brand expands.